Very sturdy and durable. I like the silicone handles! I used them in my Christmas baking, but will use them in my everyday baking as well. The silicone handles do get to hot to touch. Pan cooks things very well. 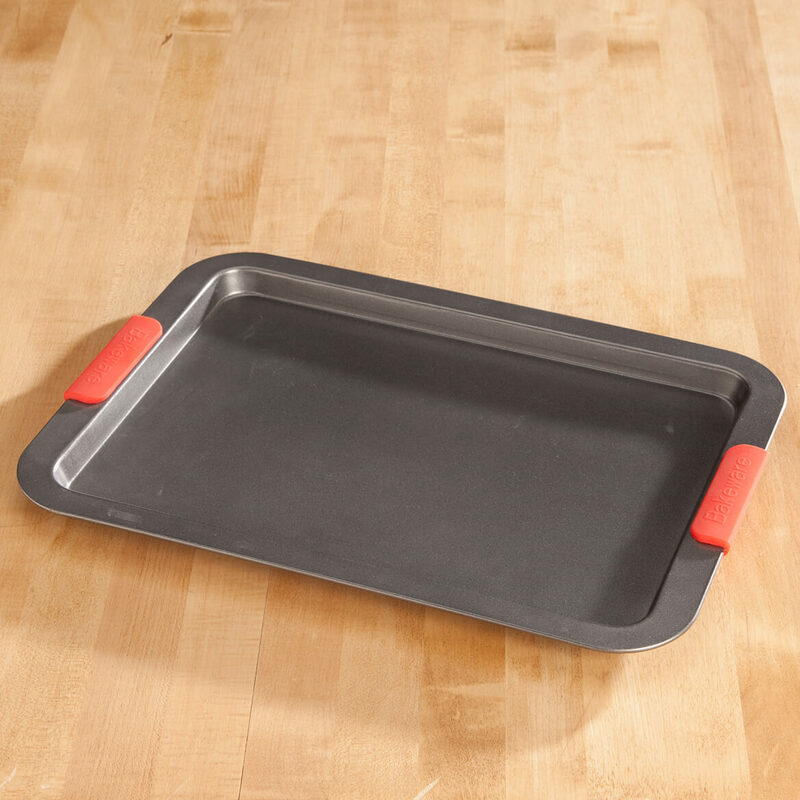 Large baking sheet? You must be kidding-- a total disappointment!!!!!!!!!!!! It looks very substantial for baking. I love to bake, so I need some new baking sheets!! I want to try them out!! It's been hard to find a baking pan that will fit my Portable Convection Oven and this one looks like it will work. We'll see. great material and easy to use. Already have one and love it!!! wanted a non stick tray with handles. IT LOOKED LIKE IT WOULD LAST FOR QUIT SOME TIME FOR THE PRICE . 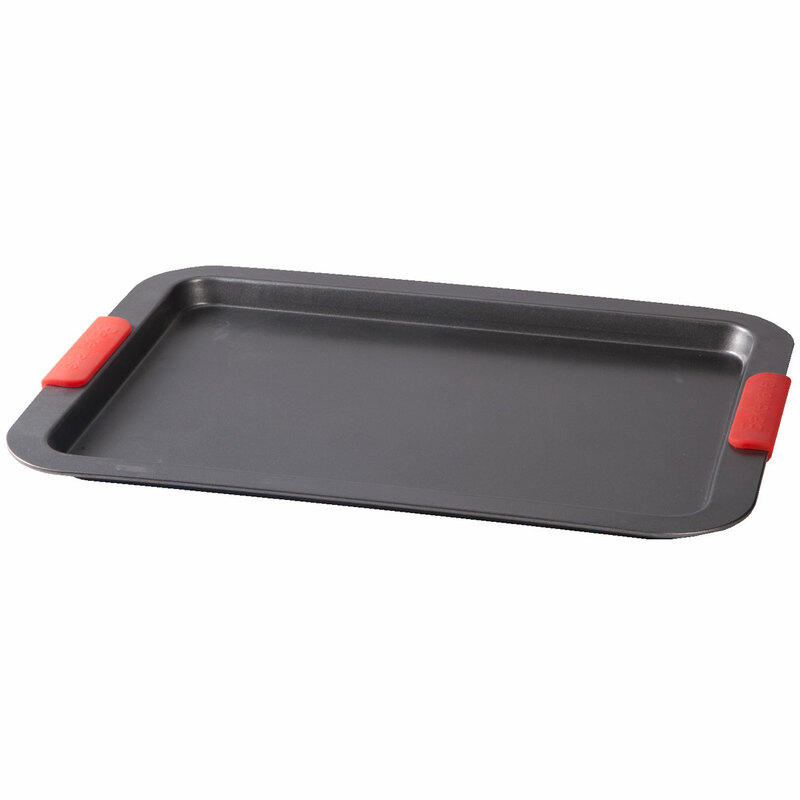 Want baking sheet that will not break even if cold and put into hot oven. I wanted to try this with the silicone handles to see if I would like it. Have seen them advertised quite a few places.